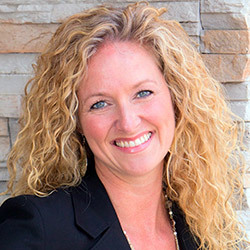 After a 10-year absence, Cindy Allen has returned to StoneEagle as the company’s new CEO. She rejoins a leadership team that includes her husband, Brent Allen, and her brother-in-law, Bobby Allen. P&A caught up with Cindy Allen shortly after the announcement to ask what’s in store for 2018, where her passions lie, and whether great singers are born or bred. P&A: Cindy, you’re the new CEO of StoneEagle, but you are not new to the company, correct? Allen: That’s right. I spent 15 years here on my first go-’round. I was vice president of the StoneEagle.com portion of the business. P&A: How does that part of the business differ from the StoneEagle we know? Allen: I’ll set the stage by saying that, when I first came in, there were only 15 people in the company, including Brent and Bobby. They just needed someone to answer the phone while their receptionist was on maternity leave. I found myself at the front desk waiting for the phone to ring. In the time between phone calls, Bobby challenged me to build StoneEagle a website. Now, this was the early ’90s, before companies used websites to build communities, before search engine optimization. So I bought a how-to book, sat at the desk, and built a website. As a next step after completion of our website, he asked me to figure out how to connect our insurance administration systems to the internet as well. At that point, StoneEagle’s credit life, vehicle service contract and F&I product administration systems leveraged IBM AS/400 machines. It was unheard of to connect large enterprise systems to the internet. That was the challenge Bobby put in front of me. So, with guidance from Bobby and Brent, we worked with IBM to identify the other software layers we would need to connect our enterprise systems. We found the right tools and the right people and started development. It looked like a website, but it was really a connection between our web user interface back to our administration systems. At that point, the dotcom boom was right around the corner. We were not sure how the company would evolve. We decided to spin the site off into its own little company, and at this point, it’s bigger than the administration system side of our business. It became my baby and I had chance to learn from that and the 15 years of growth that followed. P&A: Where did you go to school, and what was your initial career path? Allen: I went to the University of North Texas, and I actually went to school for vocal performance. My studies had zero to do with business or software or anything else I would use in my career. But that performance-oriented major made me comfortable in front of folks, particularly when giving presentations. P&A: When you hear a great singer, how much of that is natural ability and how much of it is training? Allen: It really depends on the singer and the genre. When you see phenomenal, classically trained performers? That’s a combination of raw talent, and a phenomenal musical ear — including the ability to really tune in — and significant hours of training and technique. Of course, in country or pop music, it’s a lot of personality and performance as well. Allen: Contemporary Christian and jazz. P&A: How far did you take it? Allen: Since I got into the full-time swing of corporate America, I’ve performed at many weddings and led worship at church. I never went down the professional path, but it is a passion, a great love of mine. But I literally came in here as a temp and never got to leave. P&A: And I understand you’re a serial entrepreneur. Allen: I’m certainly entrepreneurial in the way I think. After helping start StoneEagle.com and then not only surviving that critical first two years but absolutely thriving, it gave me the fever to start and grow new things and see them to conclusion. Less than 0.4% of new companies will go on to produce $10 million a year. You will do several rounds of hiring before you get to the point where you need other people to hire for you. That initial phase gives you an opportunity to create an environment. But it’s also an opportunity to grow personally. You are absolutely in charge, and your own integrity affects the way you do business and your interactions with individual clients. You can create an organization people love to do business with. So I don’t know if I’m a serial entrepreneur. I’m not out there starting new companies all the time. But I have had the chance to participate in several startups, and I love it. P&A: Are you still able to control the culture once the company grows beyond its launch? Allen: Great question. The first thing to know is you never have control of the culture. It’s a constant channel of investment. You have to be purposeful in everything you do. You have to keep an eye on the impact of the choices you make and how they affect your organization’s culture. I think culture becomes an afterthought to most corporations. They let the pace and churn of the business take over. They forget that organizations are made up of individuals, and if you don’t have a purposeful focus on it, the culture is not going to be there. It takes an all-in effort from everyone in the organization. And when folks aren’t a great fit for the culture, they might feel a little uncomfortable. They either get in and get excited, or they leave. P&A: What responsibilities have you been tasked with as CEO? Allen: My primary responsibility is to come in and add support and structure to an already phenomenal team to drive growth. The executive leadership team here is fantastic. The cultures of StoneEagle Insurance Systems and StoneEagle.com are a little bit separated — not all that far off, but it’s a great opportunity to make those cultures more combined. I think that, in many ways, we’re still the industry’s best-kept secret. Some clients use a single StoneEagle solution and have no idea what else we can provide. P&A: What do you have planned for 2018? Allen: We spent the last few weeks slowing down enough to look at strategy. Companies grow in spurts. You’re growing internally, then adding clients and growing externally. As you gain momentum and scale, you need to pivot, adapt your processes to fit the new size, and look at how your teams are organized. It’s a question of where we’re at today and where we’re going to be tomorrow: If this is our big goal in 10 years, here’s where we need to be in three years and here’s where we need to be at the end of 2018. We have had so much growth, especially over the past few years. Our team has done a phenomenal job, and we will do even better with a strategy that is built around that growth. We know the next wave of growth is coming. We want to be prepared for it and execute on it the best way we possibly can. P&A: And that will include letting your clients know the full capabilities of the company. Allen: Absolutely. It’s in the appropriate place in the strategy. You will begin to see us talk more and more about what we can do, end to end, in our industry. You’ll see it in the way we talk about our brand and the channels of access to our technology. There is a lot to look forward to. It’s an exciting time to be here. And I can’t say enough about what this company has accomplished over the last 10 years. At the same time, it will be exciting to see how we can grow in impact and size over the next 10 years. P&A: What are your passions outside of work? Allen: Family. We have two daughters, one married, and hopefully we will add grandchildren to our family soon. Our younger daughter, Andy, is in her junior year at the Art Institute of Chicago. She is predominantly art-oriented, incredibly creative, sings and plays guitar and piano. She would live life without a computer if she could. Our older daughter, Alex, is an entrepreneurial businessperson at heart and a total overperformer. She recently came to the company to work with our CTO on a temporary basis. Just a few days in, he said, “We need to keep her.” We are so proud of both our girls! Passions change as life evolves, but I still have a tremendous passion for music, sitting down at the piano to play in my off time and leading worship at church. I love to cook. I love to do stuff with Brent. We love to go to our lake house in Oklahoma. Allen: Thank you. I like him too! P&A: We all do! But at some point, aren’t you going to get sick of each other? Allen: You know, I spent 15 years working with him and about 10 not working with him. I far prefer working with him. I missed him like crazy, so I can’t tell you how thrilled I am to be back. I know it’s not the same for every couple, but it’s amazing how working in the same company and having the same knowledge of the workday — the challenges you had to tackle — it’s great. I love it. And I’m pretty sure he does too. P&A hits the road with Bill Kelly of Automotive Development Group, a division of Brown & Brown Insurance. An Interview with Jim Maxim Jr. If you are an executive general manager making $500,000 a year, this video is not for you. 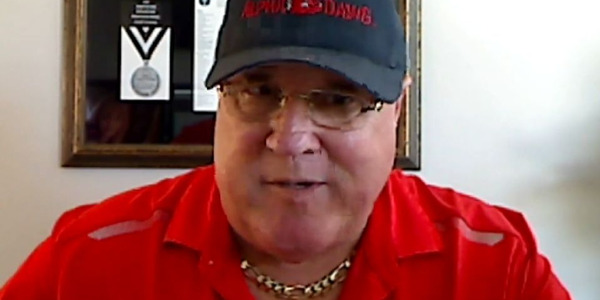 If not, listen up, because Jim Ziegler is here to help. 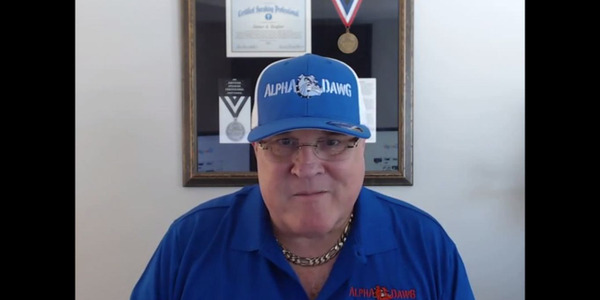 In an exclusive to Auto Dealer Today, the Alpha Dawg lists the 20 Things a GM Must Do Every Week to become an executive GM, take your dealership to new heights, and maximize your personal income. Click here to read the story. 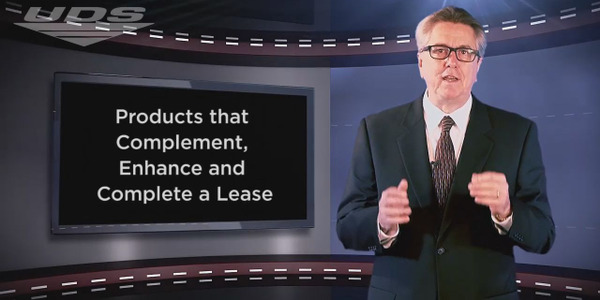 Most people are drawn to a lease because of the options they have at the end of the lease. But leasing does involve some obligations. 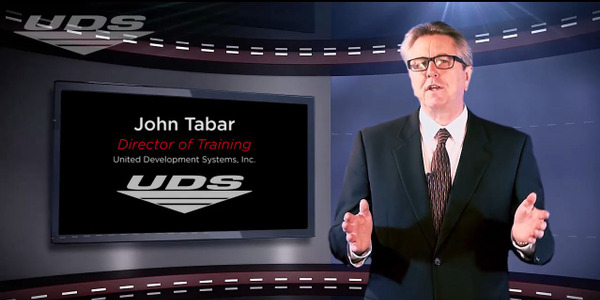 F&I trainer John Tabar says it’s those responsibilities that represent an opportunity for producers to increase product enrollment on lease deals. Few executives in the F&I product provider and administrator industry possess the same diversity of experience as Terrence J. “Terry” O’Loughlin, an attorney, accountant, business school graduate and former regulator with the Florida Attorney General’s office. 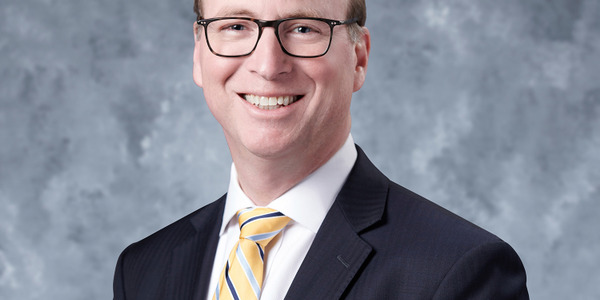 In July, Brian Krasavage became vice president of Allstate Dealer Services.